Serving the NW since 1970 in the same location. LINE-X Spray In Bedliners serving Portland, Clackamas, Vancouver, cornelius, oregon City, Canby and more. Clackamas’s source for spray in bedliners! LINE-X® Spray-On Bedliners provide unmatched protection for your vehicle with the toughest, boldest, and most durable bedliners on the market. Expertly sprayed by highly trained technicians, you can rest assured it’s been done right. We’re so confident in LINE-X quality that we back our bedliners with a lifetime warranty, giving you complete peace of mind. LINE-X bedliners are designed to meet the needs of every truck owner, whether you’re a farmer, hunter, contractor, or weekend warrior. Did you know that LINE-X can be applied after we cut the hole for your Gooseneck or 5th wheel for a clean install? 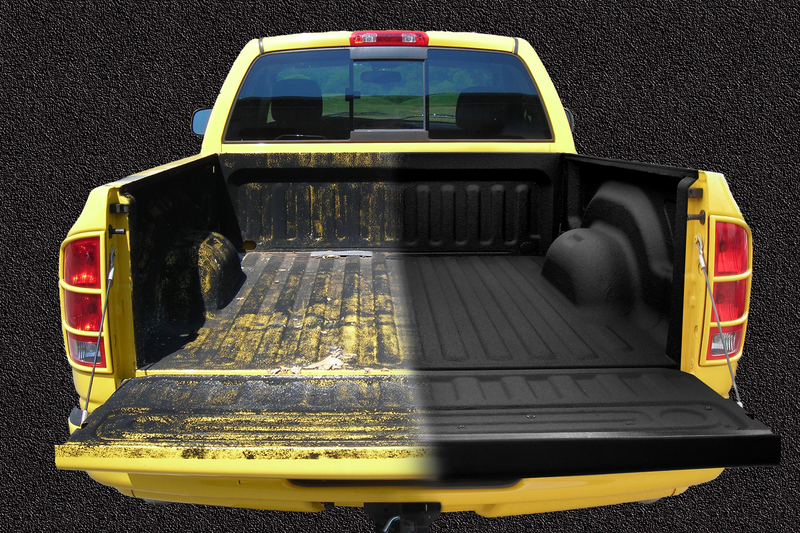 LINE-X can be applied on virtually any surface whether it be a truck bed, wheel flares, rocker panels Etc. You can be assured that with LINE-X you will receive a nice factory appearance on any surface. Every LINE-X Spray-On Bedliner is applied by trained professionals who take pride in their work. 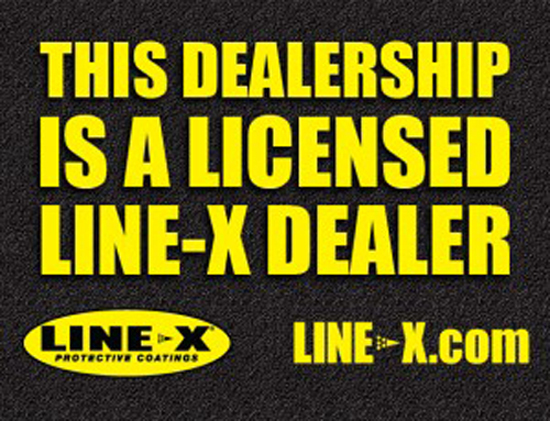 LINE-X not only offers award-winning products but craftsmen dedicated to spraying the highest quality bed liner for you. Each bedliner receives a multi-point quality check inspection before and after the application. LINE-X is applied to a truck bed after an extensive prep process in which the tailgate, bed bolts and tie downs are removed. LINE-X professional applicators take time to examine the quality of their work and measure the thickness of every bedliner. LINE-X bedliners are measured to a thickness of 125 mils – the ideal thickness for optimum utility in a truck bed. Our spray-On Bedliners are designed to meet the needs of every truck owner, whether you’re a farmer, hunter, soccer coach, do-it-yourselfer or contractor. LINE-X has products for customers looking for color, UV protection, superior toughness or all three.